It’s not just the boat, of course, but the sailors and the glorious fact that we have this lovely piece of water all to ourselves. Just the wind, the puffy clouds, the palm trees and the warm water to deal with… tough eh? The breeze was a little lighter than it had been for the previous regatta, and with big shifts, up and down pressure and strong current, this was complex racing, especially on the first day. 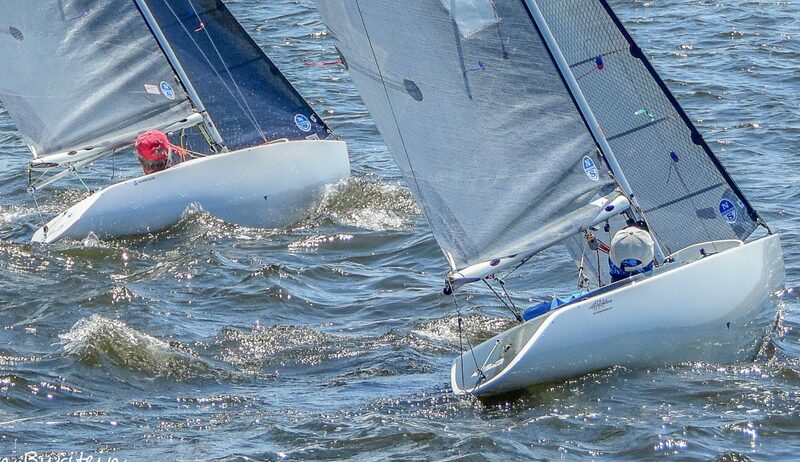 Bruce Millar of Royal Victoria Yacht Club showed his experience by winning 4 out of 5 races, with Alan Leibel, Peter Eagar (both National Yacht Club) and Charlie Rosenfield (Sail Newport) chasing hard. Bruce won the regatta with Alan second and Charlie third. I came 8th out of 14 with the racing in the middle of the pack particularly close and tight and many finishes just centimeters apart. 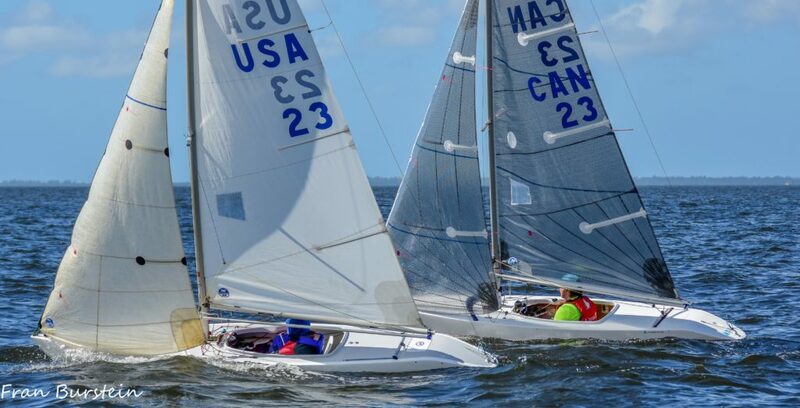 Great training – my goals for this year are definitely now focused on defending downwind! For the last race mother nature put on her best frock with a gorgeous fresh sea breeze. I enjoyed my upwind beat so much I wrote a song while I was sailing! Come join us!